This 3 pack means that you will always have a teething toy ready—one chilling in the fridge, one in your on-the-go bag, and one that your little one can play with right now! 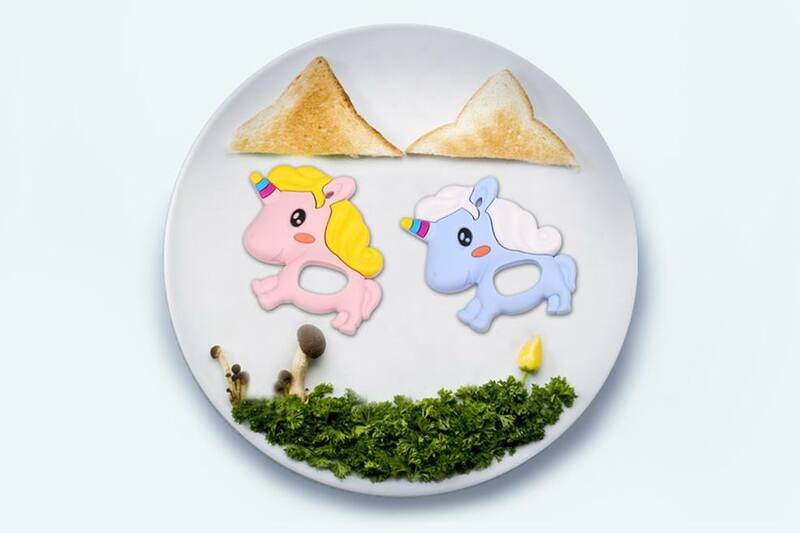 Kute Keiki Teething toys are made of 100% food-grade silicone. 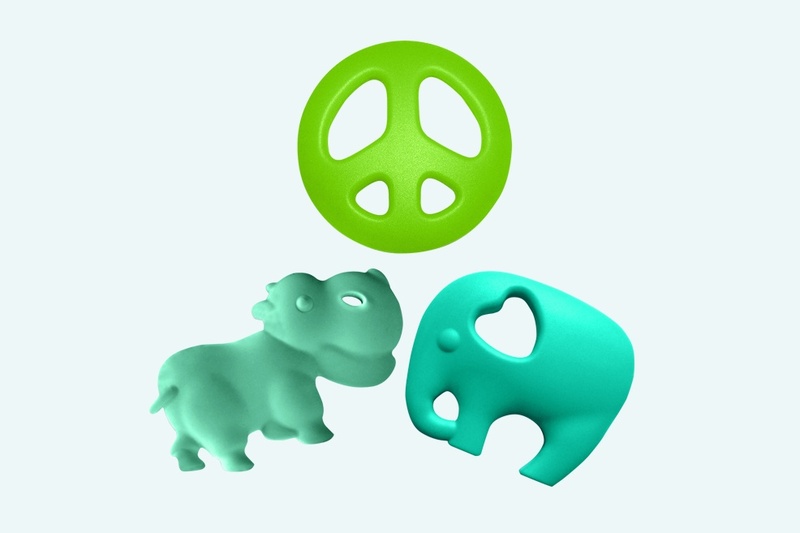 Silicone, made of silicon plus oxygen, is a natural and durable rubbery material ideal for teething babies. As a bonus, this pack comes with an attachable necklace clasp to convert into a teething necklace or tie to car seats, cribs, or strollers. 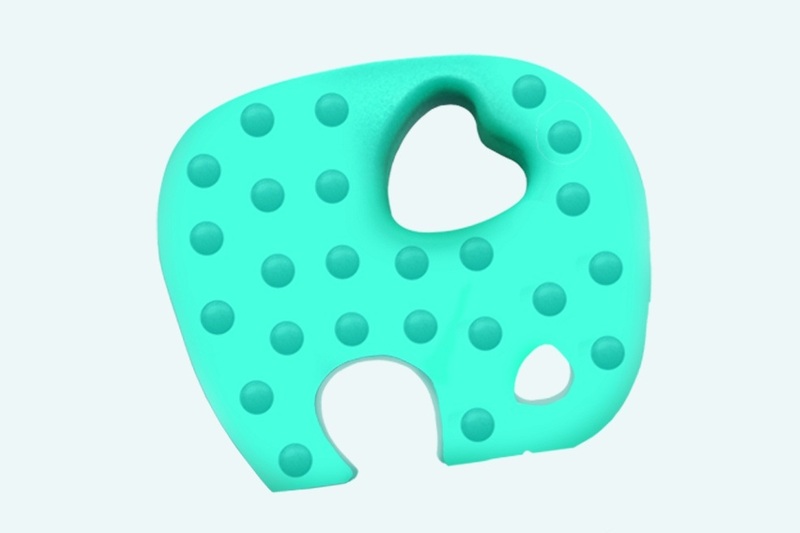 This textured, multi-sensory developmental toy offers multiple teething surfaces to provide pain relief to young Keiki by massaging and soothing the gums and stimulating healthy teeth development. While a good DIY trick to help is rubbing your baby’s gums, we know that you can’t have your finger in your babies mouth all day! Teething toys are a great alternative to this – a safe, non-toxic teething toy will make it easier for your baby to relieve their discomfort and distract themselves from the pain. When your baby starts to sprout their first teeth, they may experience some pain/discomfort, excessive drooling, night waking, fussy nursing behavior and other symptoms of teething. Many children try to gnaw on anything they can get their hands on, as the counter-pressure on their gums provides some relief. 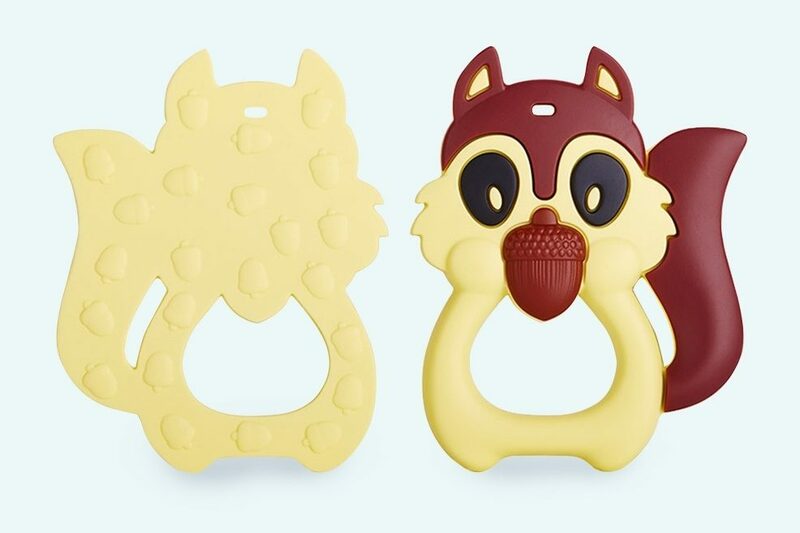 Teething toys can not only relieve your baby’s teething pains, but they can help them develop their motor skills as they lift and guide their toys to their mouth, teaching them coordination, motor function, and autonomy. 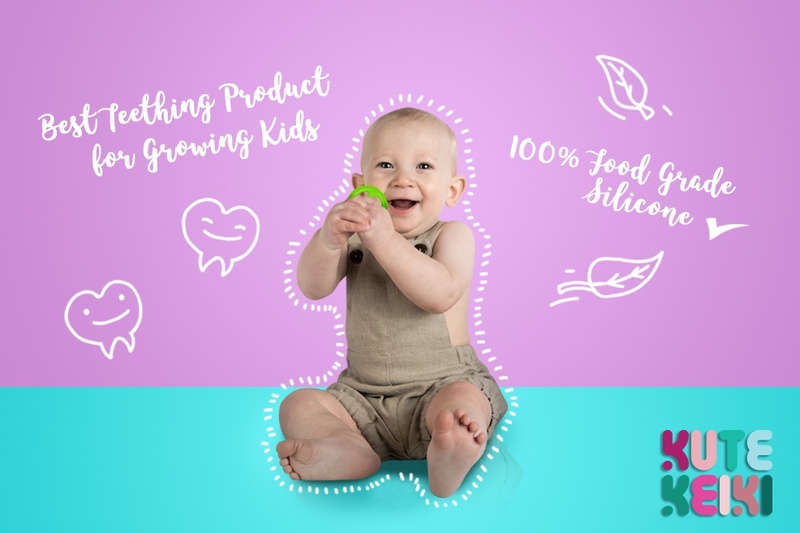 Kute Keiki believes in delivering the best quality products along with researched information on baby development and growth. Kute Keiki makes sure that the health and safety of babies is #1. For extra relief, stick the toy in the fridge, as the cool touch will reduce swelling and provide extra relief to soothe your child’s gum. 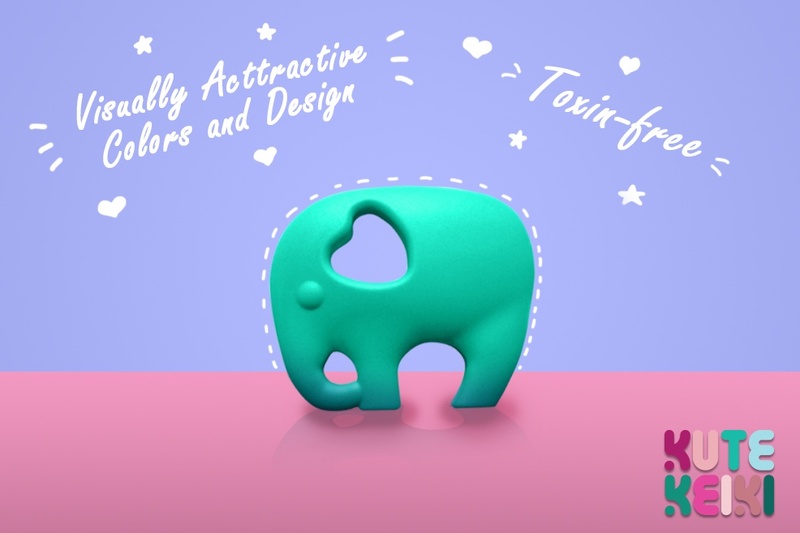 As a 100% silicone product, these toys are dishwasher safe, which means you can throw them in for a quick and easy wash, or you can hand wash with soap and water. Silicone is made by a process of extracting silica from natural minerals, which is an all natural and abundant source. Silicone is hypoallergenic and resistant to bacteria, which means it is safe for your child and easy to clean. The rubbery feel of the toy will feel great on your baby's gums. 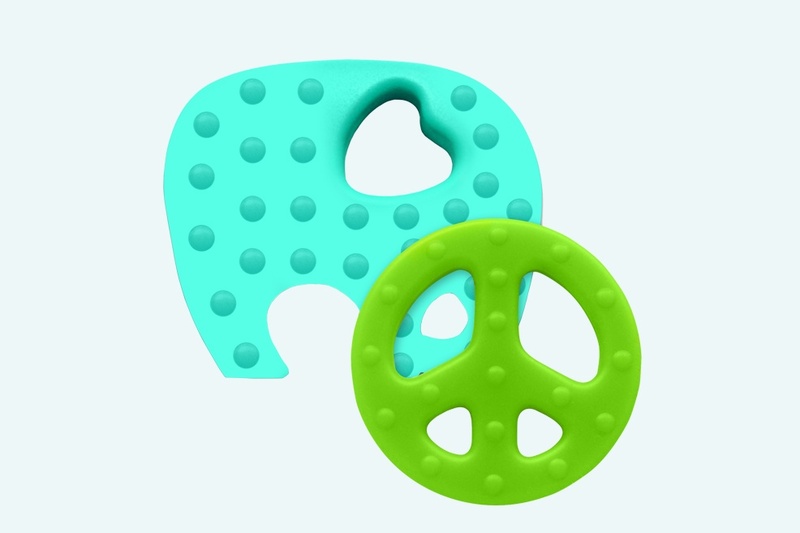 The fun shapes are specifically designed so that your baby can easily grasp the toys on their own. This assists in developing their autonomy and motor skills. 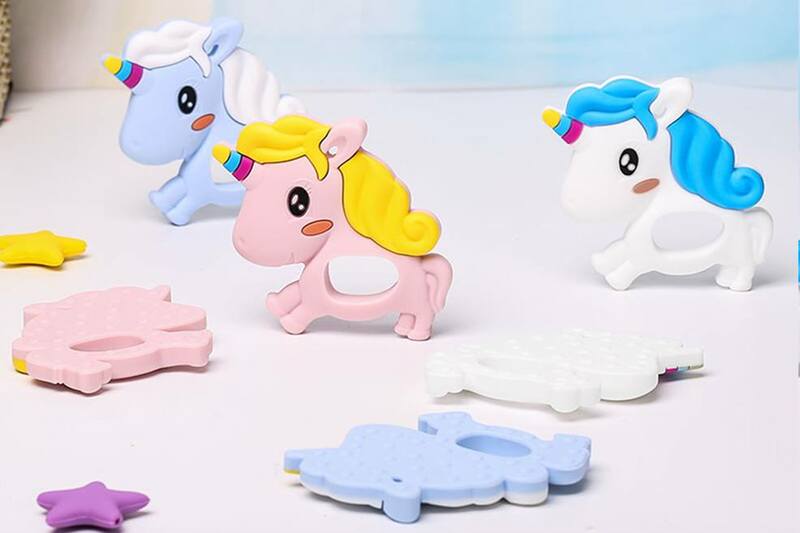 The colorful handheld toys distract your baby and give them a way to relieve any teething discomfort, while giving you, the parent, more time to focus on other things. 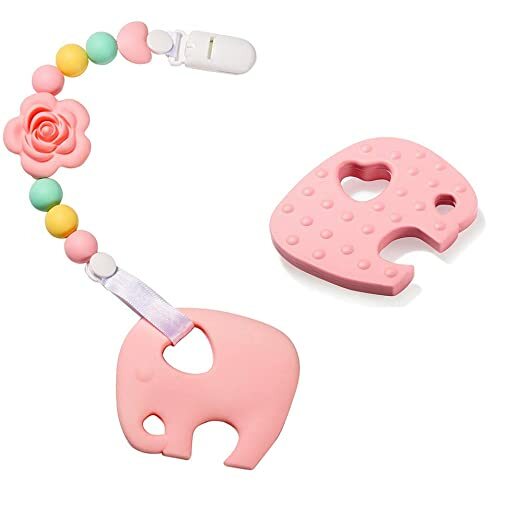 Teething toys not only provide pain relief for teething babies, but the gnawing of teething toys stimulates teeth growth and maintains healthy gums. The shape of the toys help your baby stimulate the hardest to reach spots in their little baby mouths. 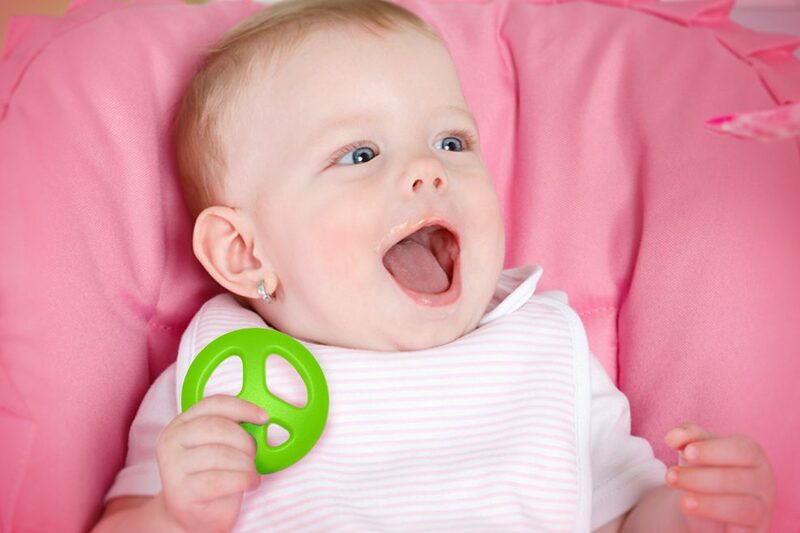 Many teething toys are made of plastic, which often contains BPA, PVC, and phthalates. These ingredients effect the development of your child and can have negative impacts on their health. 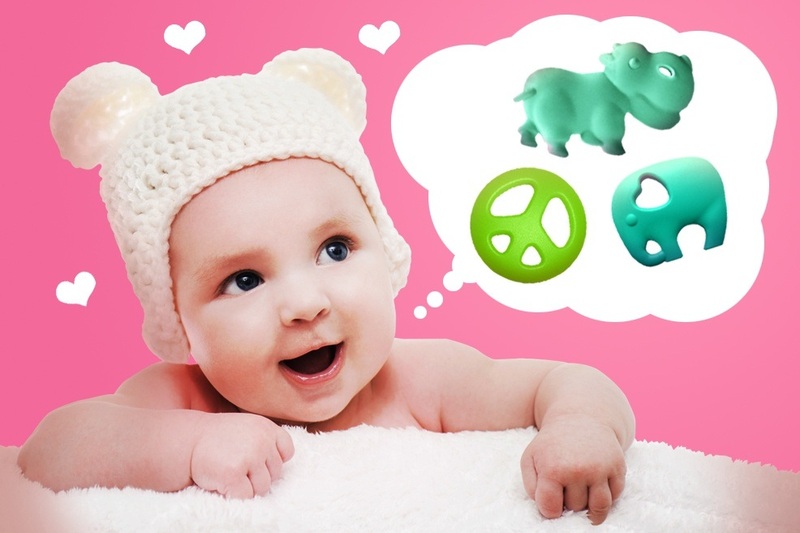 Kute Keiki baby teething toys are made of silicone, and therefore will not have any of these toxic & harmful compounds.